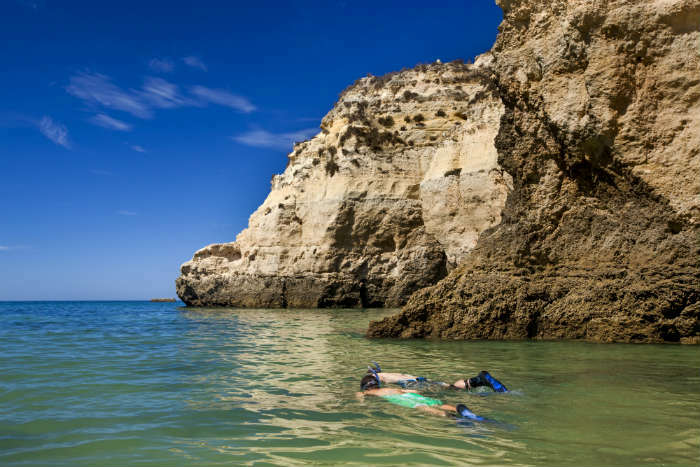 Scuba Diving and snorkelling are the best ways to explore the beautiful underwater world of Portugal’s Algarve coast. 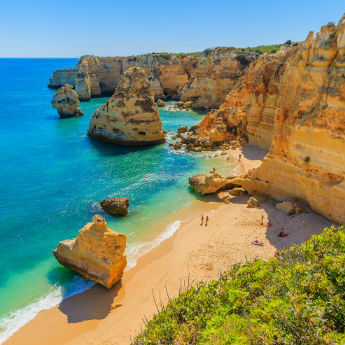 Praia da Marinha is favourite place for snorkellers and is a great place for families to spend the day in and around the water. 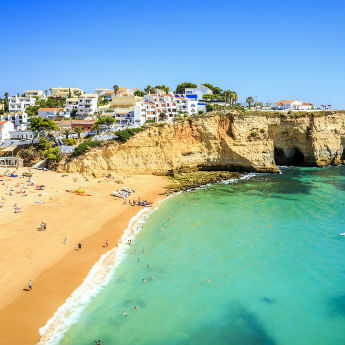 If getting to know the waters of the Algarve is high up on your Portugal bucket list, scuba diving might just be the thing for you. Explore the sunken ship wrecks and marine life that have made Portugal’s water’s their home. Wilhelm Krag is one of the most popular wrecks in the Algarve and the Caves Of Sagres are 3 caves with air pockets in which divers can surface. Portugal is one of Europe’s leading destinations for going surfing. Lagos and Sagres especially are hot spots for riding the waves of the Atlantic Ocean. Renting a board is easy in places such as Carrapateira, Arrifana and Monte Clergio, and there are also a few surf schools here too – perfect for those wanting to learn, pick up a few new skills or find out where the best waves are! 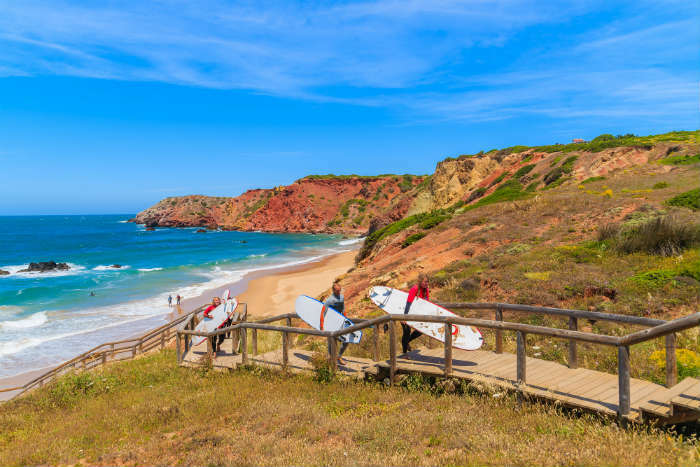 However, if you’re coming with your own board or fancy the occasional surf, base yourself in Lagos or Sagres where you’ll never be too far away from good waves. 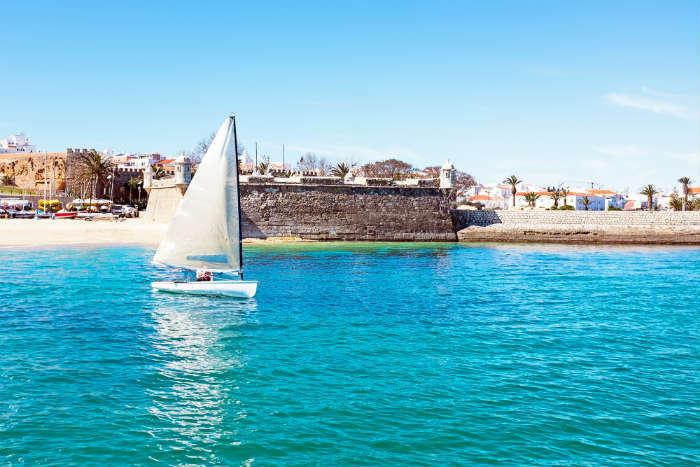 Lagos Bay in the Algarve is said to be one of the best place for sailing in the world and is home to some of Europe’s greatest regattas. As well as challenging waters, which are suitable for intermediate and advanced sailors, calm waters make a great base for beginners to learn the ropes. 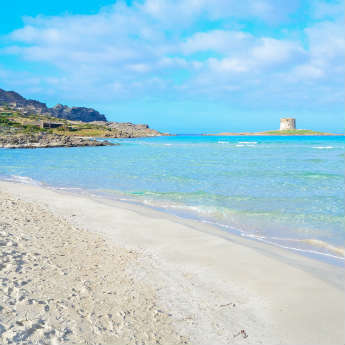 Once you’ve got the hang of sailing, or if you fancy a break for the afternoon, why not moor up by a quiet beach, enjoy the weather and feast on a delicious barbeque. A more relaxing way to enjoy Portugal’s coastline is by going sea kayaking on the clear waters of the Atlantic Ocean. 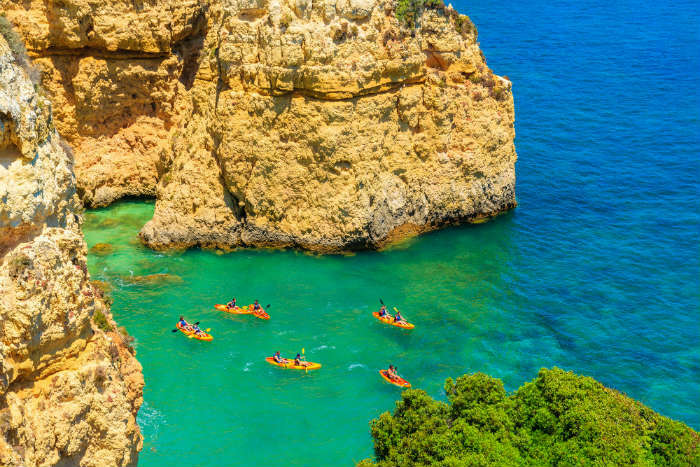 One of the best places to start is Praia Batata where you can rent out a kayak for the morning or afternoon or you can also go out on a kayak tour if you want to find out more about the Algarve’s coastline. If all of the above sound appealing, why not try your hand at windsurfing too? 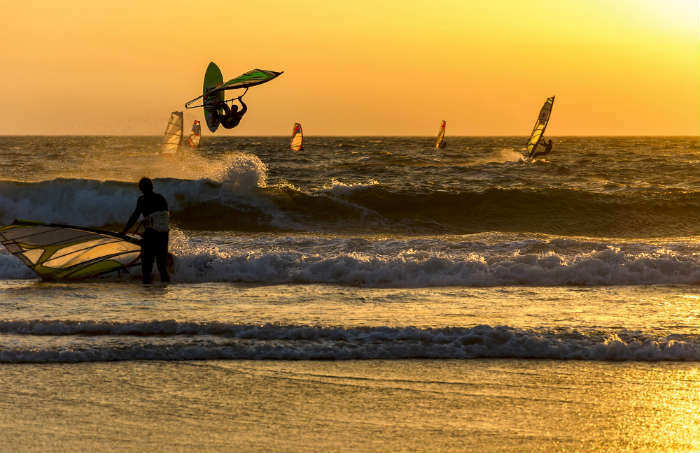 Meia Praia and Sagres are the two main bases for windsurfing and the best times to try out this water sport are between June and September but the wind can be suitable all year round if you’re visiting Portugal out of season. Again if windsurfing is something you want to learn while you’re on holiday in Portugal, why not take a 3 hour lesson to learn the basics and you’ll be surfing with the best in no time! Do you want to try out any of these water sports on your next holiday to the Algarve? Start your holiday search by clicking the button below or tell us in the comments which water sport you're looking forward to doing!